Since 2004, Marvel Comics has recognized a small number of its creators as Young Guns, a program that places a spotlight on talent on the rise within the company (and, by extension, in the industry). Such names have included the likes of Steve McNiven and Nick Bradshaw and, in 2006, Leinil Francis Yu was awarded such a distinction. Born in the Philippines the youngest of five to Leonilio and Leilani Yu in 1977, Leinil knew at a young age he wanted to draw comics after discovering characters like Archie, Richie Rich, and Superman. Yu would teach himself to draw with help from the book How to Draw Comics The Marvel Way and attended the University of the Philippines for Visual Communication for two years but his big break came thanks to fellow Filipino creator Whilce Portacio. Having spent over a decade working in the comic industry and helped found Image Comics in 1992, Portacio came to the Philippines to open a studio to produce work for WildStorm. Yu applied and was accepted by Portacio (with some coaxing from fellow artist Gerry Alanguilan who saw promise in the youth). Things wouldn’t pan out with the project at WildStorm but Yu’s first published work through the studio would be a back-up story called “Legends of the Dark Moon” in Aster: The Last Celestial Knight for Entity Comics. Yu would train under Portacio for a year before his mentor passed art samples to Marvel securing Yu his first ongoing work. In 1997, Leinil Yu would become the ongoing artist for Marvel’s Wolverine series, one of the top selling series in the industry at the time, with a nearly uninterrupted run across about thirty issues. After producing interior art for a handful of issues for Uncanny X-Men, he would go on to become the ongoing artist for the X-Men title, starting with its one-hundredth issue, for over a year. 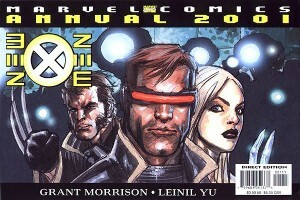 In 2001, Grant Morrison (Animal Man, JLA) would come to Marvel and re-envision the X-Men in the New X-Men as Yu would draw the new title’s annual in a widescreen format which set-up much of the series’ future storylines (Yu also drew a back-up story in that year’s Fantastic Four annual called “Dragon Man for All Seasons”). The same year, Yu would branch out and produce material for Dark Horse Comics, such as interior art for Joss Whedon in Buffy the Vampire Slayer: Tales of the Slayers and cover art for various books. The following year, he would go farther by collaborating with Scott Lobdell on High Roads for Cliffhanger! (an imprint under WildStorm, which itself is under DC Comics). It would be 2003 when Yu would reach another milestone in his career tackling arguably the most iconic character in the comic book industry. For the early 2000s, DC Comics made a concerted effort to try and liven up its products by shaking up the status quo and introduce new dimensions to what was being viewed as stagnant by readers. Part of this was the hiring of editor Dan DiDio who has since gone on to be a significant force within the company. In tune with this new course, it was decided to reinvigorate arguably the biggest icon in the company (if not the industry) in Superman with an updated origin. Mark Waid (The Flash, Kingdom Come) was chosen to guide this course who selected Leinil Yu to act as his artist having admired his art on Wolverine. 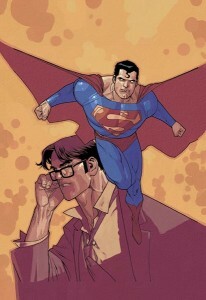 Superman: Birthright was controversial (as well as financially successful) but possibly more notable than that was the critical-acclaim of Yu’s work on the book. Dynamic, vibrant, cutting edge, Yu was allowed a great deal of freedom in his vision for the project and produced what he felt would be his best work up to that point. Certainly, the project garnered the eyes of the industry making the young artist an instant hot commodity. The year was a pivotal one for the creator as while Birthright was finding its way to readers, Yu also married his wife Anna Katrina Maniquis and released his self-titled album for his band Marty McFly (formed with friends he made in college). Yu would follow up Birthright with work on the crossover one-shot Batman/Danger Girl and WildStorm series Silent Dragon before hitting another milestone. Wizard World Chicago became something of a showcase for Marvel Comics, a place where it would present some of its biggest news for the coming year. In 2004, it was where they launched the Young Guns program. 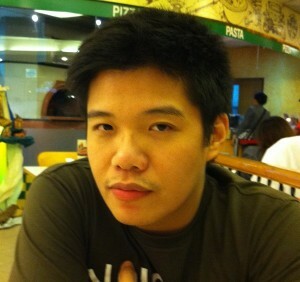 The following year, it was where they announced Leinil Yu was signed exclusively to Marvel. 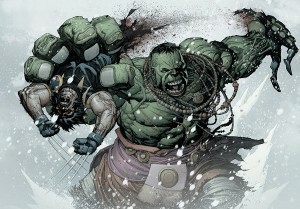 Further, he would draw Ultimate Wolverine vs. Hulk with an undisclosed writer to be announced. That writer later turned out to be Damon Lindelof, showrunner for the hit television series Lost. However, after two issues, Lindelof was too preoccupied with other commitments to finish scripting the series and there would be an over three year lull before the six issue series was finally completely published. In the meantime, Yu produced concept art for the Firefly film Serenity and would publish his first sketchbook entitled Lead Poisoning. Also, just as Marvel announced the inaugural cast of Young Guns in 2004 at Wizard World Chicago, so did they announce the second class at the convention in 2006 naming Yu as one of their number. All of that year’s Young Guns would contribute to the book Young Guns: Reloaded Sketchbook which previewed some of the coming events for 2007. For Yu, that was joining Brian Michael Bendis (Powers, Daredevil) on his title New Avengers for eleven issues covering the storylines “Revolution” and “The Trust” (that same year, Yu would get the chance to revisit Wolverine with Jeph Loeb for the first issue of Fallen Son: The Death of Captain America). 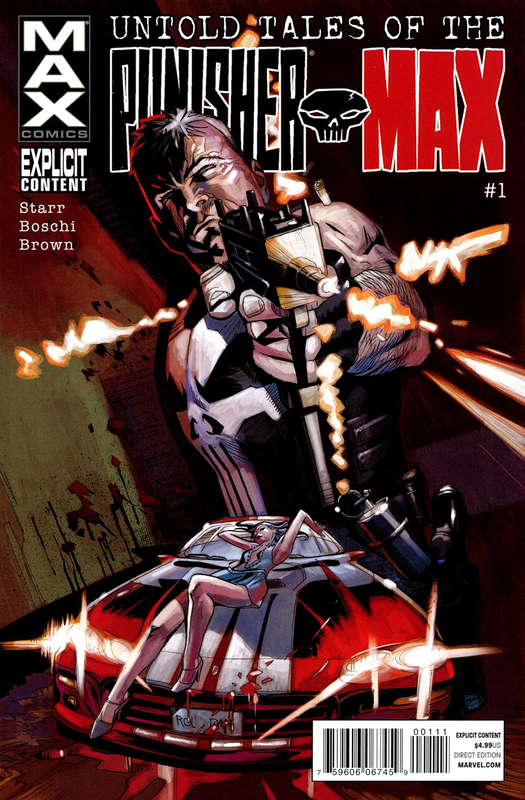 It would be his collaboration with Bendis that led to likely Yu’s most notable achievement in his career thus far. Having penned some of Marvel’s most notable comics over the years, Brian Michael Bendis introduced hints over the course of writing series such as Secret War and New Avengers of a Skrull invasion of Earth. Further, following the events of Annihilation, an infiltration of Earth by the Skrull to make the planet their new home resulted in the series Secret Invasion with Leinil Yu providing the art. 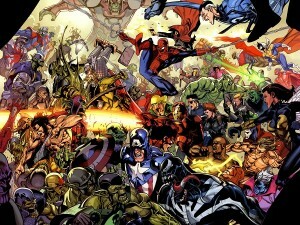 Over the course of the series, Yu had to draw massive dynamic scenes of dozens of unique characters including the most iconic in Marvel’s history. Reportedly, Yu pushed himself to the limit to produce the work sometimes drawing into the early morning and grinding close to deadlines in an effort to offer the most output possible. The effort was recognized by readers and the industry alike, earning Yu Wizard Magazine‘s Artist of Year award for 2008. 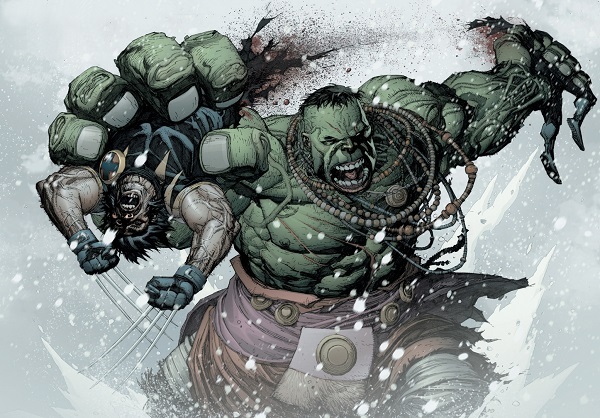 As noted, the following year Yu was able to complete Ultimate Wolverine vs. Hulk and, in an effort to take a break from the workload of Secret Invasion, he produced a number of covers for various titles. In 2009, the Ultimate Universe was relaunched and in 2010, Yu drew the storyline “Crime & Punishment” for Ultimate Comics: Avengers 2. Mark Millar (The Authority, Ultimate X-Men), the book’s writer, would also team with Yu to produce Superior for Marvel’s Icon imprint about a sick child who’s transformed into an analog of Superman. That same year, Yu’s band Marty McFly would disband when their drummer decided to leave the group. 2011 would bring another collaboration between Mark Millar and Leinil Yu in Ultimate Avengers vs. New Ultimates featuring the two superhero groups battling each other. Along with Millar, Yu would also help set two Guinness World Records for the Fastest Production of a Comic Book and Most Contributors to a Comic Book. Millar and Yu along with sixty other creators produced an issue of Superior at the Kapow! comic convention in London with royalties from the publication being donated to the Yorkhill Children’s Foundation. Millar and Yu would also collaborate for 2012’s Supercrooks from Icon. In 2013, Yu helped relaunch the Hulk with Mark Waid for Marvel NOW!’s Indestructible Hulk seeing Bruce Banner (and by extension the Hulk) going to work for S.H.I.E.L.D. This was followed by two runs across the span of a year on Jonathan Hickman’s Avengers run, first for the Infinity event and then the event Original Sin. Yu would also contribute to the following year’s event AXIS drawing three issues of Avengers & X-Men: AXIS (as well as contributing to a fourth). 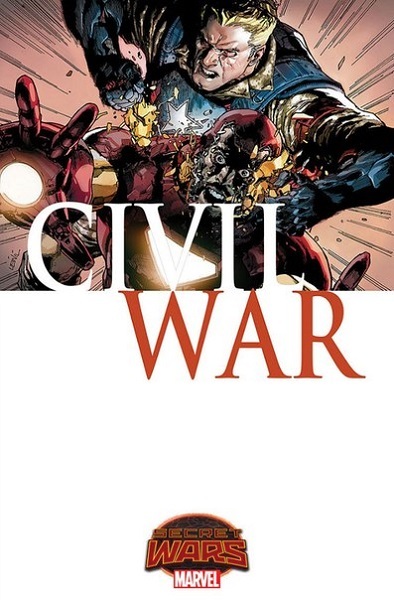 This summer, Yu will team with Charles Soule (Swamp Thing, Death of Wolverine) on the Secret Wars tie-in Civil War which re-examines the 2006 event and expands to include the entire country at war (rather than just heroes and villains). You can buy Leinil Yu’s art at Kwan Chang, follow him on Twitter, Tumblr, and Facebook, and check out his art on DeviantArt.